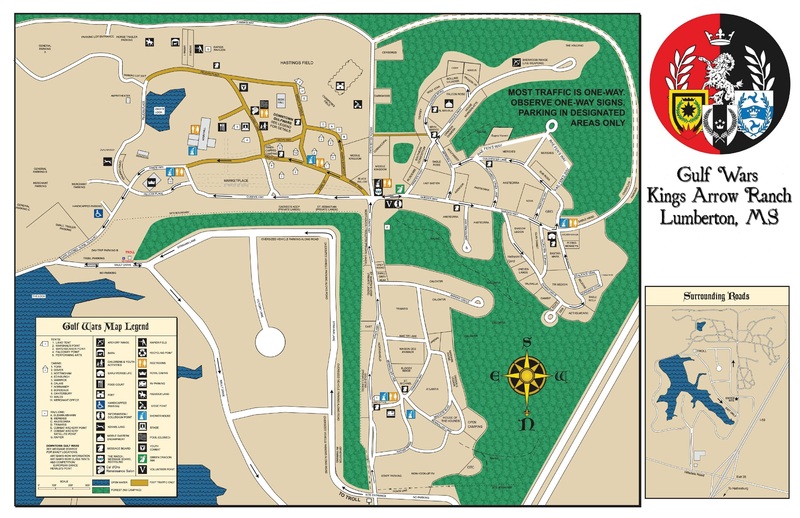 Troll is now located at the intersection of Strahan Lane and Rault Drive at Kings Arrow Ranch. Please do not block any private driveways, stay to the right side of the road and follow all SCA signs. Troll in-between the front gate and back gate of the site. 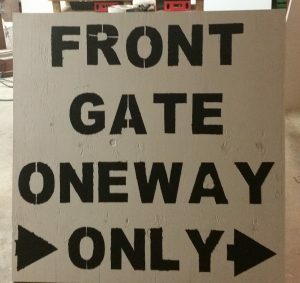 This sign will be in front of the building. 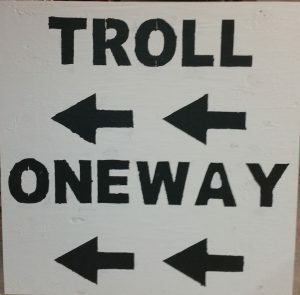 Handicapping parking only in front of Troll. 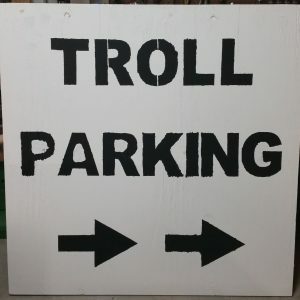 Troll parking is located past the Troll building, just inside the back entrance to Kings Arrow Ranch. PARK IN DESIGNATED AREAS ONLY! NO PARKING ALONGSIDE THE ROAD. 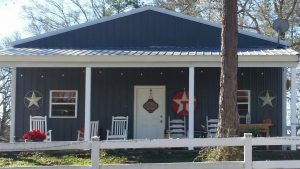 From Hillsdale Road, go pass the old troll building and hotel toward Gulf Wars site front gate. There will be a road to the left just before the front gate. Turn left on Strahan Lane at the Sign. 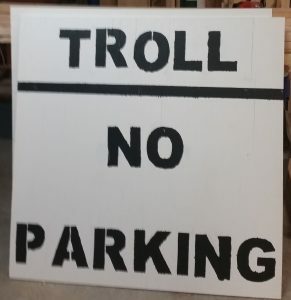 This sign point to Troll parking area. Walk or take the shuttle back up to the Troll building. This will take you back up to the main road to Front gate. Turn left. Have your tokens ready as you enter front gate.